A popular brand with both parents and kids, the swimwear from SnapperRock is sure to add style to every beach day! The SnapperRock brand boasts of a UV50+ fabric that helps to block 98 percent of the sun�s rays. Mom�s love that their daughter�s skin has added safety from harmful rays, while also boasting in one-of-a-kind styles that all of her friends will adore. 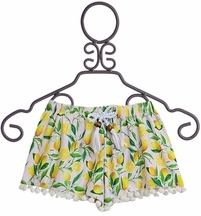 With styles for infants through tweens, you are sure to find something for each of your precious daughters. From one piece swimsuits to fun tween bikinis, the Snapper Rock brand has been creating fabulous swimwear since 2003. The founders moved from New Zealand to the United States, and as parents, sought to create a brand that never sacrifice style or quality. From the cover ups to every swimwear design, you can be sure that all of the fabrics are breathable and quick drying. We adore the matching kaftans and shorts that will pair perfectly with her new Snapper Rock swimsuit. Bright and fun colors fill the Spring 2017 collection and all of these designs are sure to be a must have for her coming vacation. 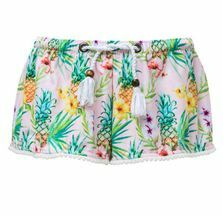 From spring break to summer weekends, she will love to show off the fabulous swimwear wherever her plans may take her. A personal favorite is the bright aqua blue covered with metallic gold horses in full gallop. For sisters that love to match, they can pick out their personal favorite while still creating the perfect pair! For your more tropical locations, be sure to look at the bikini or one piece swimsuit that is covered in hibiscus flowers and exotic birds. Even staying in town and taking a quick trip to the pool, she will love the vacation spirit that is contagious with these beautiful designs. 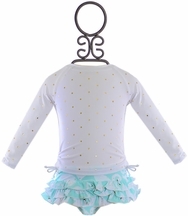 A cover up and shorts are available in the same lively look, blues, greens and pops of pinks are gorgeous! One of my personal favorite parts about the Snapper Rock Spring 2017 collection is the ruffle falling from the neckline on the flounce bikini. The beautiful blues blended with the lattice look wins awards in my book. Add the matching kaftan and shorts as cover ups and you have my favorite swim look of the season. The blues pay homage to the waves of the ocean while the style of the print keeps the suit modern in style. We know that you will love these styles, and we are ready and willing to help you as you make your purchase. If you have any sizing questions, please let us know! We are here to answer anything. Our customer service reps are reached by phone, e-mail or the contact us button. As a designer brand, Snapper Rock runs fairly true to size but we are ready to give specific measurements on the style that catches her eye! Her summer swim and vacation wear must be perfect!